If your club would like to become a TABC Club, or have someone come to talk to your members about affiliation, click Learn More. Thanks Ed for all that you did for TABC and the bass fishermen of Texas. You will be greatly missed. Find a TABC Bass Club in your area. Join the FUN Today! TABC was organized in April of 1971 as a non-profit organization to work for Texas anglers. The organization was and ever shall be dedicated to the preservation and promotion of our sport, the conservation of our resources, and involvement with our Texas youth for the future of our State. 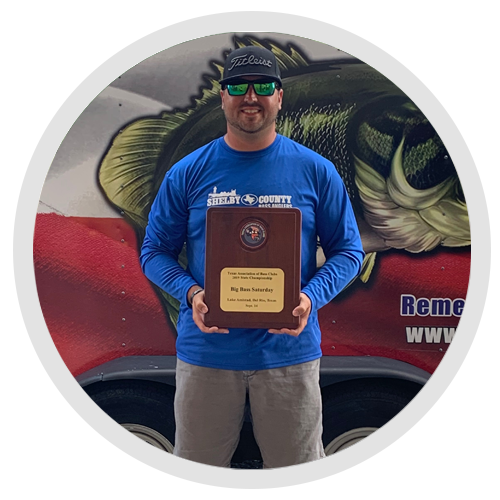 The main goals of our organization are to promote the sport of bass fishing through restocking programs, sensible aquatic vegetation control and proper management of our state’s resources. Other goals are to promote public interest in our sport and to become immersed in our youth who are the future of Texas bass fishing. TABC is a charter member of the Texas Outdoor Partners. a group of conservation organizations throughout the State) providing communications between anglers, hunters, and various outdoor enthusiasts, legislators, media and the Texas Parks and Wildlife department. If you want something added to the agenda, please contact the President.